yes it is time to big farewell to my typepad home. Its been a journey. Tell your friends. Please come over to my new site. I have an incredible giveaway worth £90 of running shoes at my new site. Follow the instructions over at my new site for how to enter and while you are at it let me know what you think. You might need your hard hat, its still a bit of a construction site. my very last #saturday caption..
on this blog URL anyway..im moving and hoping to have it all up and running on Monday when ill start things off with a very cool giveaway so please do come back here for the link.. So onto this weeks sat cap. Couldnt help but wonder what this poor wee doll was getting up to! ?..and just pointing out that it IS A DOLL!!! Anyway it was two nights away at a residential centre about 40 minutes from here. He was really really excited. Really ready to go and try a bit of independence and live for a few days in the same set of underwear!! What boy doesn't need to experience that!? getting on board the coach! Now here is an admission I hadn't actually expected to miss him. Thats sounds terrible doesn't it...but there was a part of me that was thinking 'ooh one less child for 2 days...hooray!! "....just would ease the workload up a bit. I wasn't worried about him, i knew he would be fine, i don't fret about his safety or if he will clean his teeth..its two days after all, whats a little furry teeth amongst friends? So i thought the immediate impact on me would be 'one less...child, lunchbag, bedtime, teatime, argument, homework..blah blah blah. But then i was surprised by how much i missed him. Not so much 'him' (this sounds a bit weird) but his presence. He is part of the jigsaw that makes up our family picture and without him i just kept finding myself looking round for something that was missing before i realised that it was him. that and the 1.2.3.4.5. headcount i do ALL the time..getting to 4 and having a heart stopping "OMG!" moment before realising!! His sister commented a couple of times 'its not the same without him"..ill have to remind her of that the next time she is moaning at me that he is being mean to her or vice versa! maybe it surprised him too. This weeks idea was picture postcard. What says english spring better than green green trees. Why are they so green? so much rain perhaps? I took this on a wet and rainy walk in the park. Sort of right up the street of english springtime. 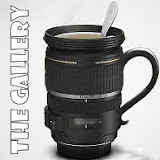 You can check out more by clicking on the lens mug below. 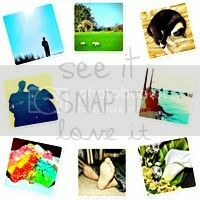 See it, Snap it, LOVE IT. This week at dearbeautifulboy its all about "FUN!" So raising kids is not always fun but there is for sure a huge chunk of it and so it made choosing an image a bit of a challenge. Then i had an idea about this particulat challenge and that is to look through and use images that i wouldn't normally stop on and use. So with that in mind, i came across this. I took this of one of our little ones at the end of a day at the beach. It was incredibly in April last year when we had a heat wave and a group of us headed to a wirral beach for the day. It really was summer temperatures and we built sandcastles, had a bbq lunch, canoed, walked in the sand and searched for little sea creatures in the rockpools. A really lovely sunny, sandy, windy day. Finished off with a cone of chips from the chippy. Pretty perfect really. I see you nearly every time i take my daughter to nursery pushing your bike with a large christmas type tree tied to your bike. Like nearly every day. I am wondering if in fact you are real or some figment of my sleep starved brain. Because i cannot imagine WHY anyone would be wanting to push a bike with tree attached up a hill more than once..let alone every day. What in the heck are you doing? Im not crazy that you are visiting with us right now. But you know its what you gotta do. Go easy on the wee one. What is it with hanging around outside for hours and then coming in and leaving puddles IN the house. Dude! Sort it out. Maybe it has escaped your attention but the olympics is supposed to be about sporting achievement, representing you country and enjoying the culmination of years of sacrifice and discipline to achieve a goal....not fleecing the public. If you could see to it somehow that you stretch an extra 2 foot all round that would be really helpful. Thanks. Okay so if we don't ask "where in the HECK have you been?" can you hang around a bit please now that you are here and tell your sister "Summer' to get her best frock on. i suppose the main reason is so that the name of my blog and the URL actually match. Its a tad confusing saying your blog is called 'apartyofseven' and then giving a totally different website address. So with some help from a very talented friend of mine and LOTS of fiddling around and wanting to throw the Bl***dy computer out of the window it is nearly ready to launch! So in a few days this site will close and my new one will open. I will post the link soon, please do carry on reading and visiting. My first post i think, will be a fabulous giveaway and some news on my other photography project. A great idea to have everything you need have some seriously good crafting projects available for your kids AND you don't need to go and dig about in an art shop to find your stuff it is all there. Glitter, glue and bird feed. What more could you want? So far the girls have made a birdfeeder and have made me promise to make the toucans with them tomorrow. I really like the idea that they kids get fresh ideas every month and that you don't have to wonder if you have glue, glitter, pens or paper in when you are caught out on a rainy day or when the babies are sleeping and the older ones are bored. Im a worker-bee. Wife, mama to 5 kids, yes they are all mine,yes i know how it happened & we do have a TV! ;) Part time NICU nurse, I do love my job but don't always like the NHS a whole lot. I am a photographer and observer of life. Some days I feel like I know what im doing and others I wonder who left me in charge of all these kids! I believe that cake should be its own food group. Id like to be on large aeroplane flying somewhere hot or cold just not grey.